A family moves into a beautiful, if eerie, new home, only to realize that it’s haunted by restless ghosts. It happens all the time in horror movies, but realtor Cindi Hagley does her best to make sure that scenario doesn’t play out in real life. How did you get into the business of selling haunted houses? The majority of homes that I sell are regular residential homes, and there’s nothing wrong with them. I might sell maybe only one or two stigmatized, haunted homes a year. One of my very first listings happened to be a haunted home. Almost immediately after, I sold another home where there was a very fresh death — a natural passing, but still a death. So right out of the box, when I started selling real estate, these things hit me, and they just never went away. How did you find out that first house was haunted? It was a beautiful old Victorian home. I was doing an open house, and it was slow one weekend. So I’m sitting there doing paperwork, and I think I see a movement up on the stairs. It hasn’t fazed me that there might be a haunting, because the house is kind of creepy. So I continue working, and again I see movement on the stairs. I look up; there’s nothing there. The third time it happens, I actually walk upstairs to see what’s going on. There’s nobody up there, of course, but at that point, there’s that kind of cold electricity that you can feel sometimes. Do you have to disclose a haunting because of legal obligation, or is it just out of consideration for the buyer? In the state of California, if a death occurs in the home, you have to disclose it for three years. Anything else that could affect the material value of the home also needs to be disclosed. In the case of a haunted home, that could go either way. I have people that specifically look for haunted homes. Other people will just throw up their hands and walk away. Is an alleged haunting something that you generally reveal after an offer is made? I’ll usually hold that [information] till the end, because if I put that upfront and it’s available to other agents, I get looky-loos, I get creepy people, these ghost-hunting groups want to come through — the last thing I ever want to do is provoke anything. So I usually save that to the [end]. If people fall in love with a home, there are things that they’ll look past. I think an alleged haunting is one of them. What are the normal reactions? How often do people, as you said, throw up their hands and walk away? I would say it’s about 50/50. They always ask a ton of questions: What happened, when did it happen? I try very hard to be prepared to answer those questions as openly and honestly as I can. If a crime has occurred and there’s residual energy from that, I’ll certainly research it all myself and encourage [prospective buyers] to go research it. 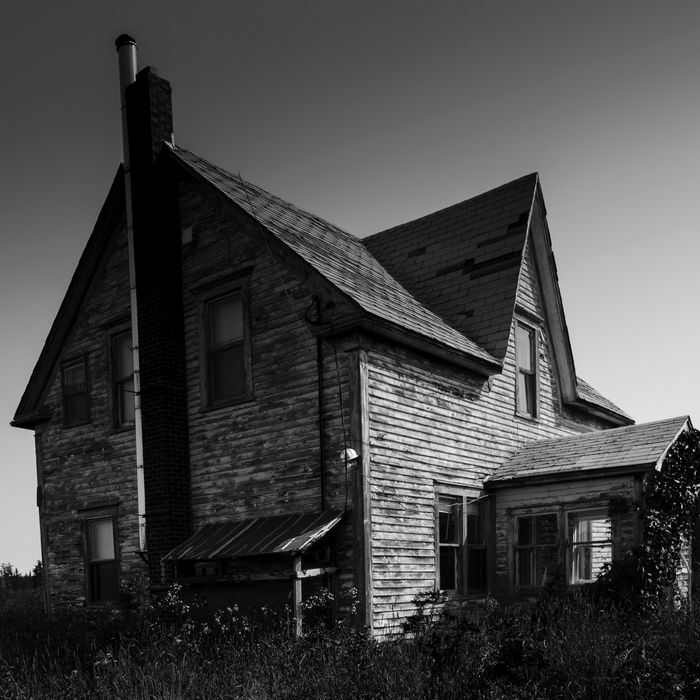 Does being haunted affect the value of a house? Real estate is through the roof in California, and there are more buyers than there are sellers. So it should not affect the value of a home. There are folks that think, because it’s haunted or because there was a murder or suicide, they can come in and get it for 50 cents on a dollar. But I don’t think I’ve ever sold a property discounted because it’s haunted. Has there ever been a property that’s freaked you out to the point where it affected your ability to sell it? I’ve been in homes where the energy has just been so off that I don’t want to be in that home, and I’ve refused listings, or I might go ahead and take the listing, but I won’t go back into the home. I’ll do what I can from afar, and I’ll have my colleagues do whatever else. There’s some nasty energy out there, and I just won’t be around it. Your website says that you have a team of clergy, psychics, and mediums. Where do they come into the process? If it’s a bad energy — it sounds so crazy to talk about — but if it’s something that’s toying with people, then I need to figure out what it is, and I need to cleanse that home. So I have a couple people. My main guy’s name is Mark Nelson, and he’s out of Los Angeles, and he’s a great psychic. So we go in and we try to figure out what it is, who it is, and we try to get them to pass on. First we’ll try a psychic, but some people who are super-religious will have a clergy member come in and bless the home. We also let buyers test-drive the home. If they think it’s going to be creepy living there, then we’ll let them stay there for two or three nights and test it out. We’ll bring food in, we’ll cater it and hang out there, see what happens. Who are the people that want a haunted house? Those are usually the scary people. You know, people think this genre is really dark and creepy, but that’s not what my business is about. It’s very light and bright, and it’s all about helping people. I’ve had people show up to an open house with old clippings of whatever happened there. I don’t want to see these. People who come to the open house don’t want to see these. Are there people who just think it would be cool to have a house that comes with a ghost story? There are some people that really don’t believe in ghosts, but they’ll think it’s cool that there’s a conversation piece. I mean, what better dinner-party conversation could there be?